The Kandiyohi County Historical Society will offer guided tours of the Sperry House and Guri Endreson Cabin in 2018. On Thursdays, the KCHS will offer guided tours of the Sperry House between 10am-3pm. Pre-registration is required. Please call or email the Historical Society to set up a time. This will be in effect from April through September. The cost is $3.00 per person/KCHS members are free. The KCHS will provide guided tours of the Guri Endreson cabin every Thursday at 1pm. This will be in effect from June through the end of August. Pre-registration is required. Please call or email the historical society to sign up. The cost is $3.00 per person/KCHS members are free. Any questions, please call Jill Wohnoutka at 235-1881 or email at kandhist@msn.com. The museum complex consists of six buildings across from Foot Lake in Willmar, MN: our main museum and research library, District #18 Schoolhouse, Engine #2523, Sperry House, Grandpa’s Shed and an agriculture building. The main museum contains an exhibit area and research library. 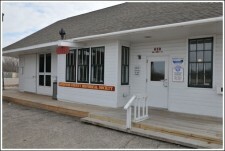 The main entry is the former Kandiyohi Great Northern Railway railroad station depot. The research library contains many resources for local and family history. The exhibit area features different displays: Civil War, Willmar 8, transportation, railroad and other exhibits that relate to Kandiyohi County history. District #18 Schoolhouse built in 1880 brings back to life the one room schoolhouse. It was moved to the museum grounds in 1971. Great Northern class P-2 Mountain (4-8-2) #2523 is a survivor of the steam engines acquired by the Great Northern Railway to speed up mainline passenger service. Number 2523 is the last of 28 locomotives built for the Great Northern by the Baldwin Locomotive Works. It was built in 1923 and retired in 1958. 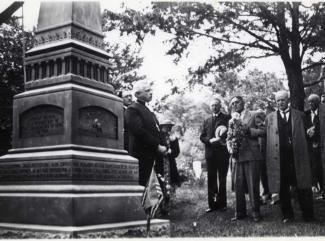 It was placed at the museum grounds on permanent display in October 1965. 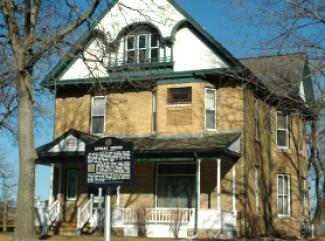 The Sperry House was built in 1893 by Albert and Jennie Sperry. 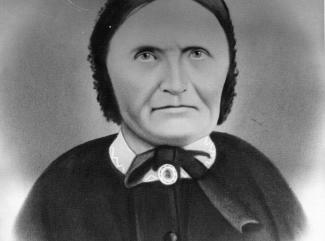 Albert H. Sperry was a pioneer settler, Civil War soldier, farmer and businessman. This Victorian farmhouse showcases a glimpse into turn of the century life in Kandiyohi County. Grandpa’s Shed built between 1905 and 1910 by Judge G.E. Qvale on Eagle Lake as a playhouse. It later became a guest cottage. It was moved to the museum grounds in 1971. Currently, it exhibits outdoor life in Kandiyohi County. The Agriculture Building showcases the many tools and equipment used over the years in Kandiyohi County. The Kandiyohi County Historical Society also has a log cabin off site near Solomon Lake, north of Willmar. 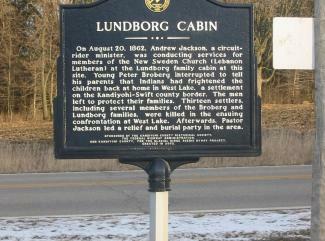 The Guri Endreson Cabin was built by Lars and Guri Endreson in 1858. One of the few buildings still standing that has strong historical links to the events of the U.S. Dakota War of 1862. 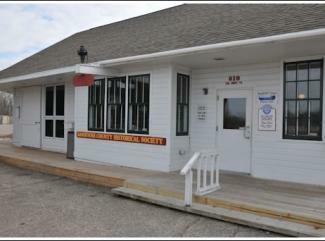 The Kandiyohi County Historical Society research library is open Monday-Friday from 9am-4pm. Our volunteers and staff can assist with research. General Admission is $3.00, Ages 12 & under are Free and Kandiyohi County Historical Society Members are Free.